Alfa marine & motor company, in the context of its continuous development, opens 2 jobs in its technical departments of Motorcycles and Marine Engines. If you are up to 35 years of age, with experience and basic technical training, a team player and enthusiastic by nature, as well as eager to learn new things, then you definitely belong here. We offer satisfactory salary, insurance, friendly environment and development opportunities. 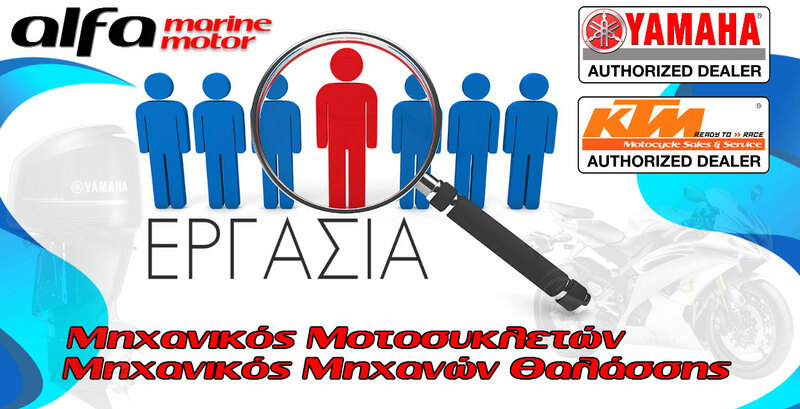 Send your resume today to info@alfamarine.gr or contact us at 27210-82035.